A few weeks ago I received a parcel from the Born Pretty Store, and one of the polishes I couldn’t wait to try was the Candy Color Glitter Sparkle Yogurt Series #4. This polish is a variety of glitters – orange, blue, and purple – suspended in a sheer pale blue base. I showed 3 coats here to get full coverage with the base. I think it might work better to use this over a blue base so that only one coat is necessary, since the glitter payoff is pretty good. Since I wanted to play with more Born Pretty Store goodies, I decided to girly this mani up! 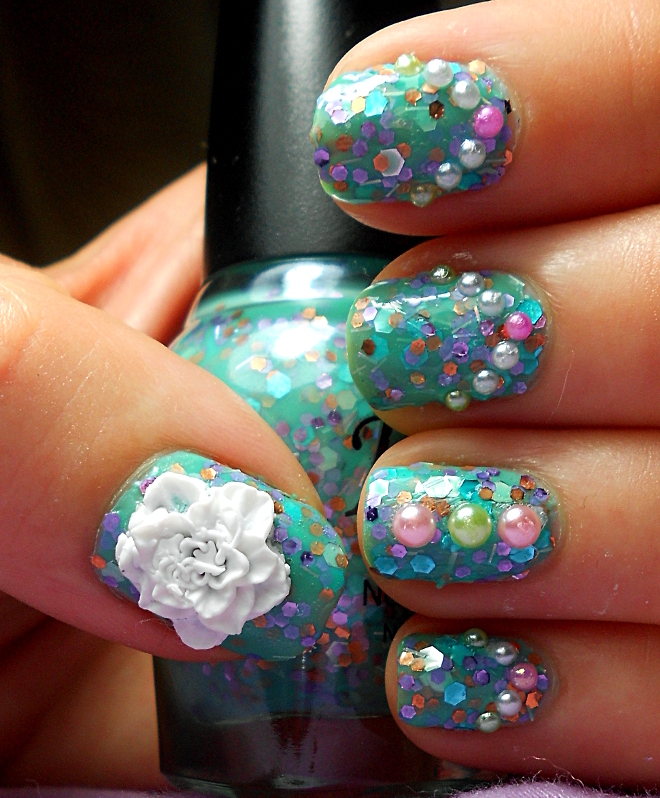 I used different sized pearl rhinestones, along with a plastic rose on my thumbnail. This was a little out of my usual style and it was pretty busy, but I still liked it. The polish is great and I can’t wait to play with it some more! 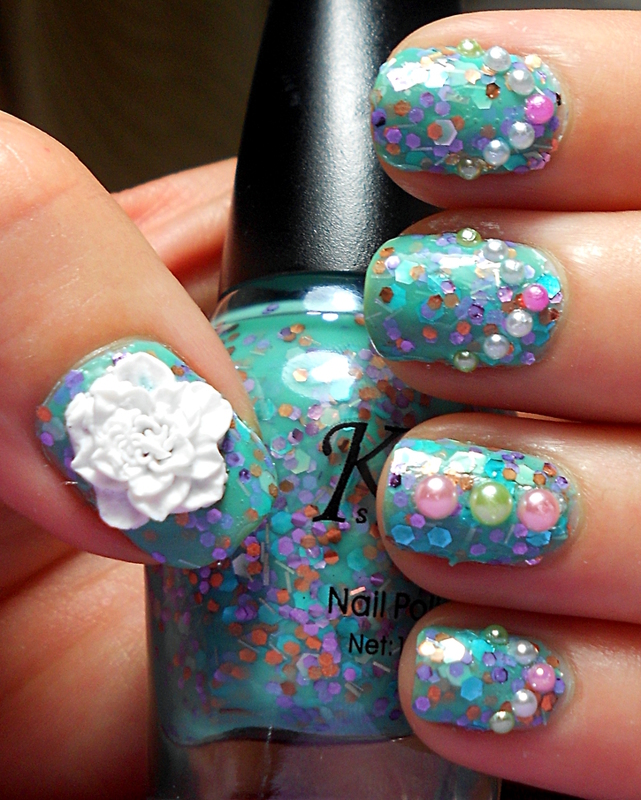 What do you think of this girly nail art? I hope you enjoyed it!